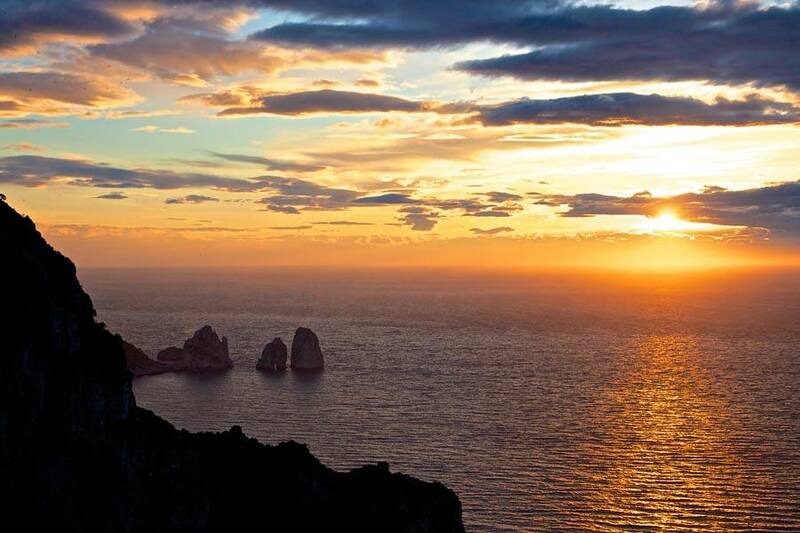 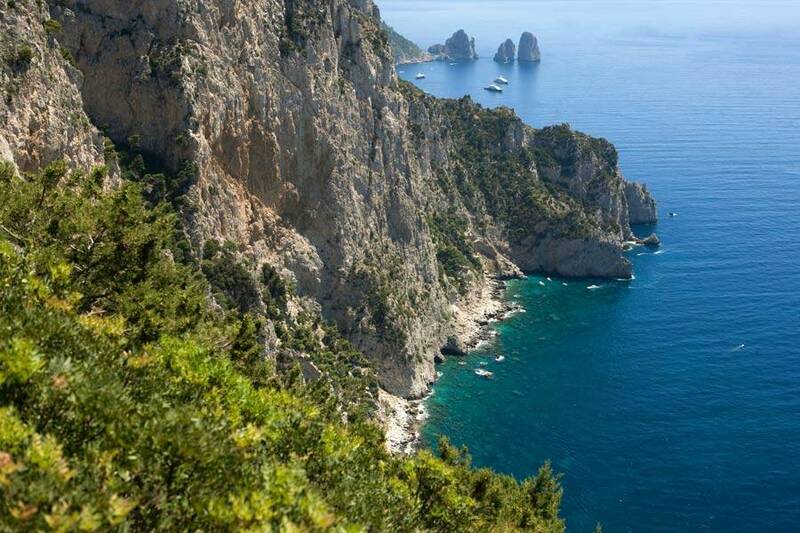 There are very few places left on the Island of Capri which have yet to be discovered by the tourist crowds. 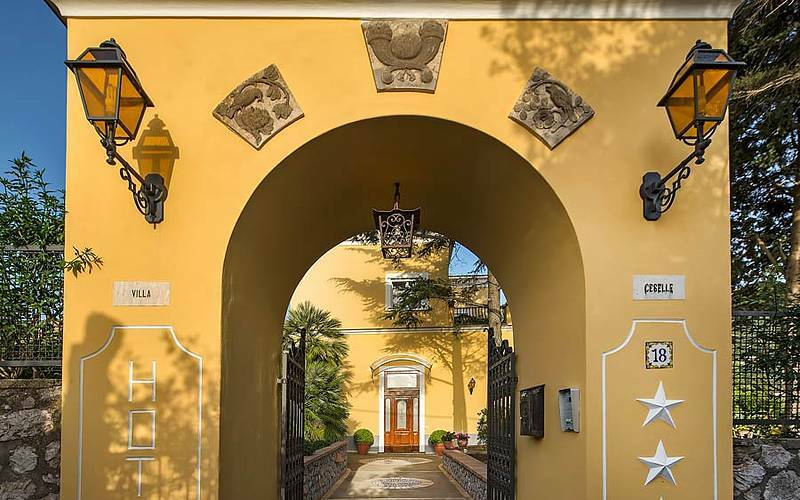 One such place is Villa Ceselle, a tiny little 3 star hotel, set in gorgeous Mediterranean gardens, in a remarkably quiet and peaceful corner of Anacapri. 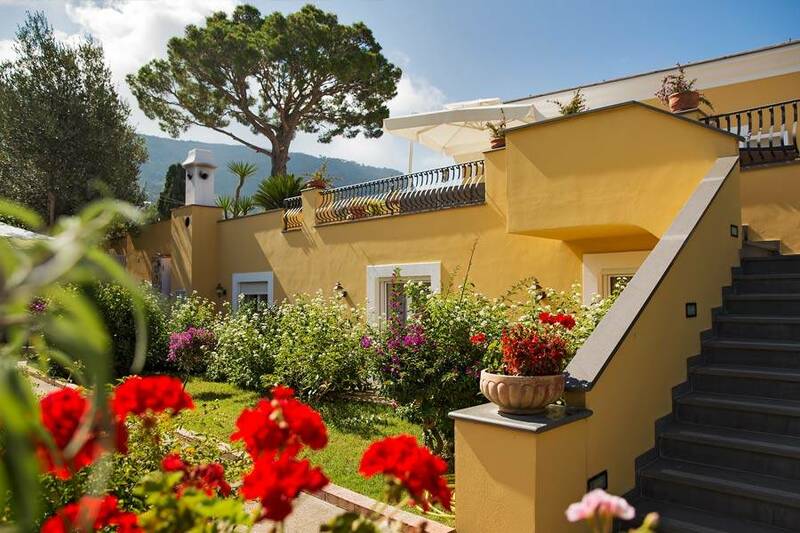 In the latter half of the 20th century, Villa Ceselle was managed by a Danish lady who had come to Capri to work and stayed here for love. 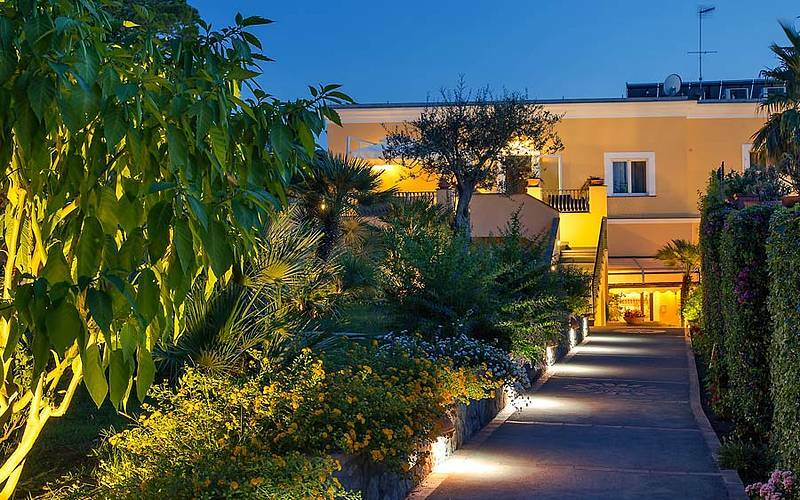 Asta was responsible for converting the villa into one of the island's first hotels; a hotel which soon became the elected refuge of artists and intellectuals of international standing. 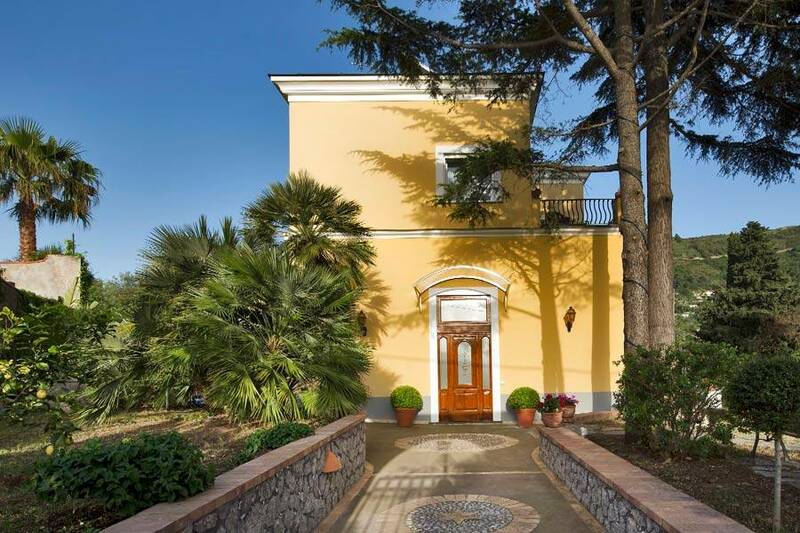 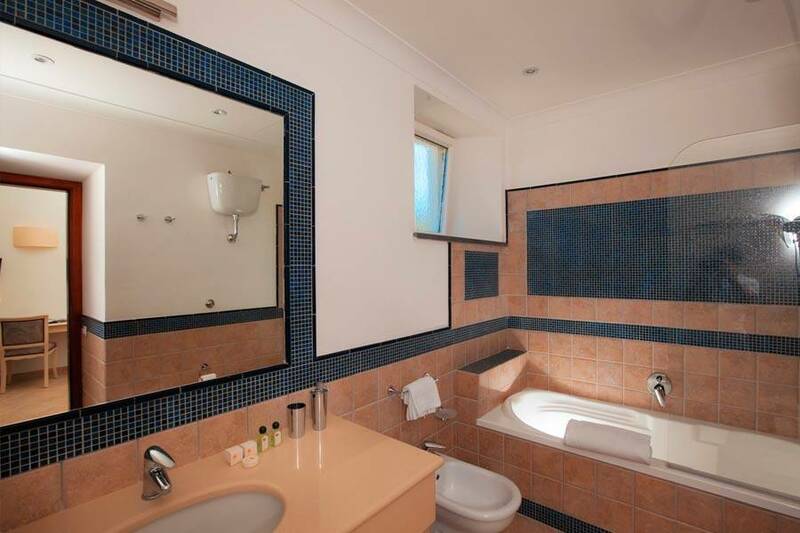 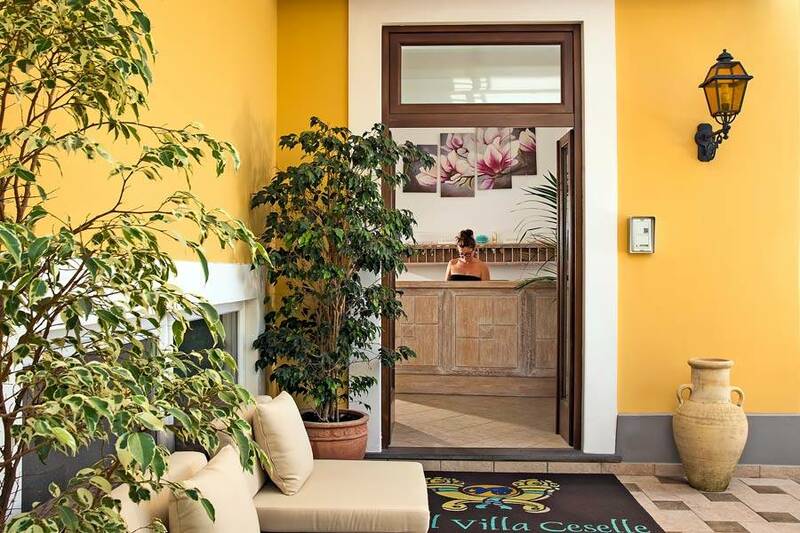 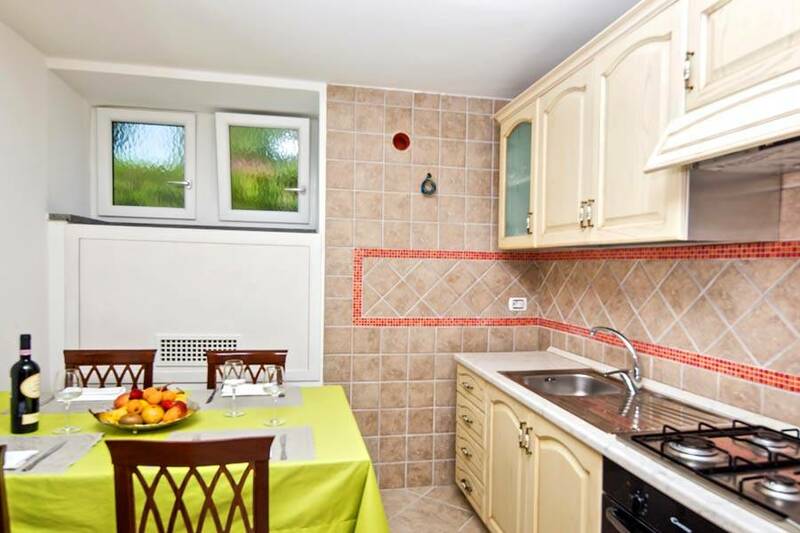 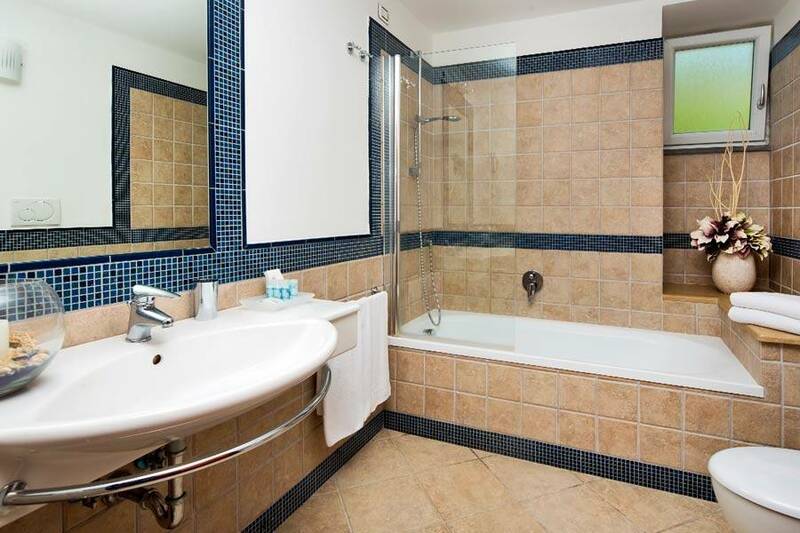 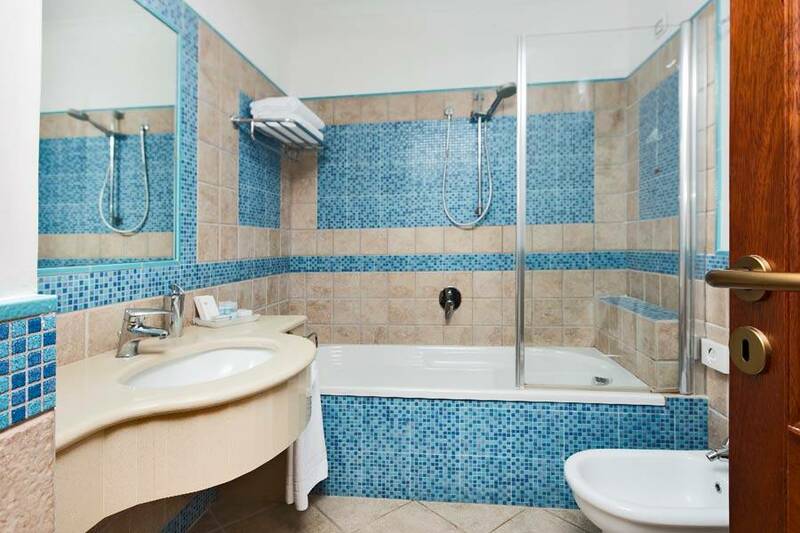 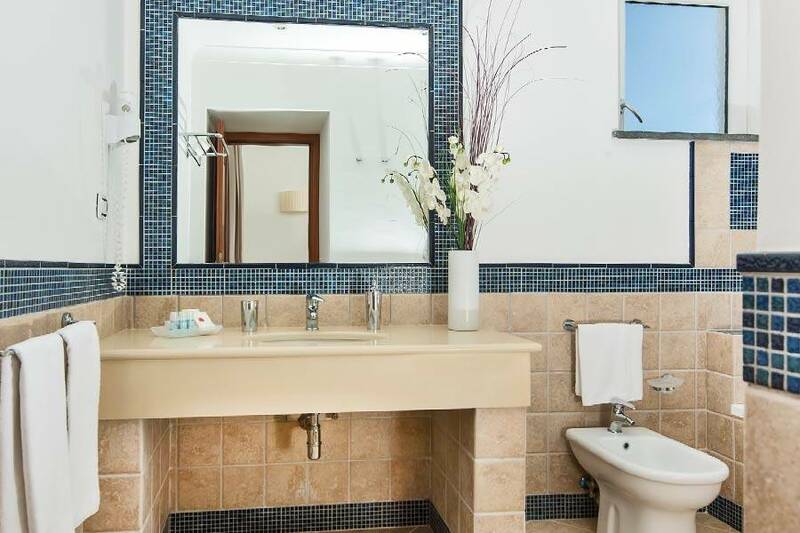 At Villa Ceselle, guest accommodation is provided in elegant classic double rooms, spacious junior suites, and in an independent apartment, this latter with its own, fully equipped kitchen. 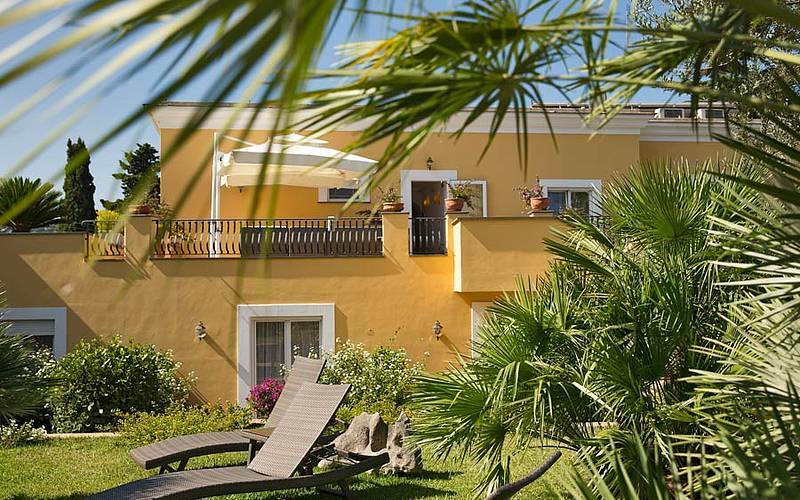 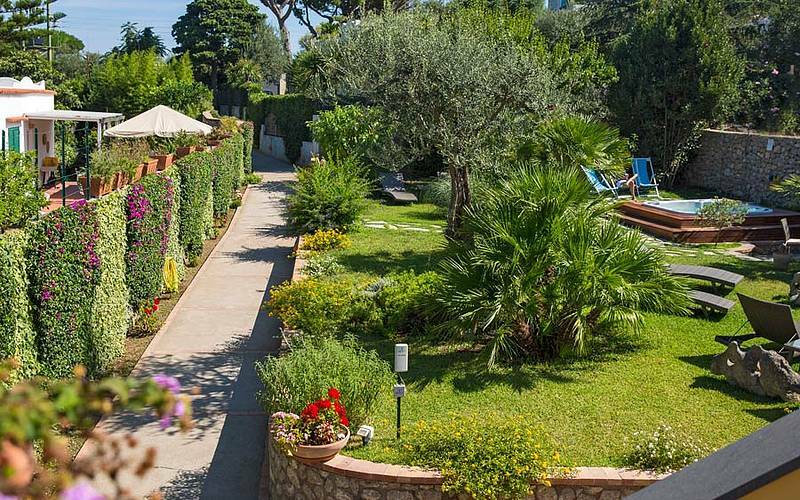 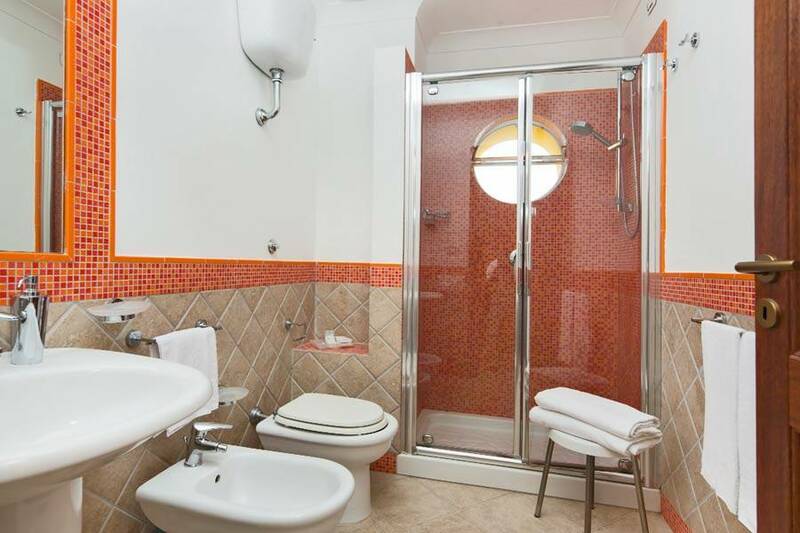 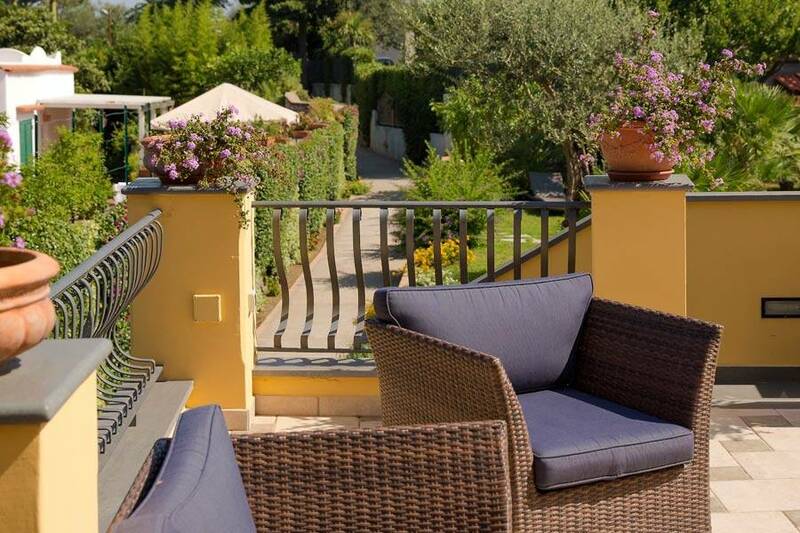 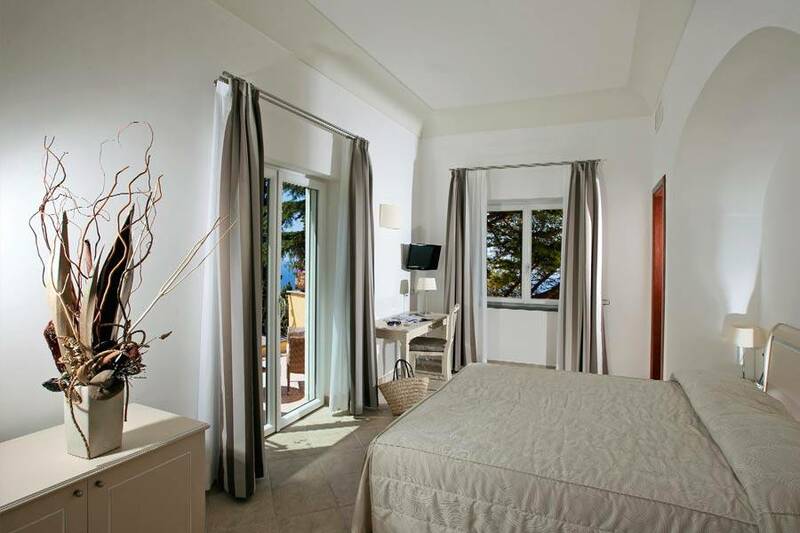 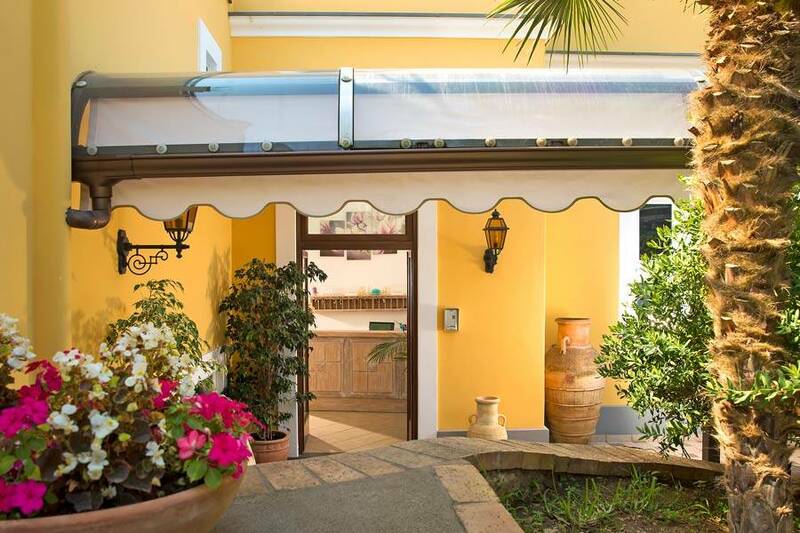 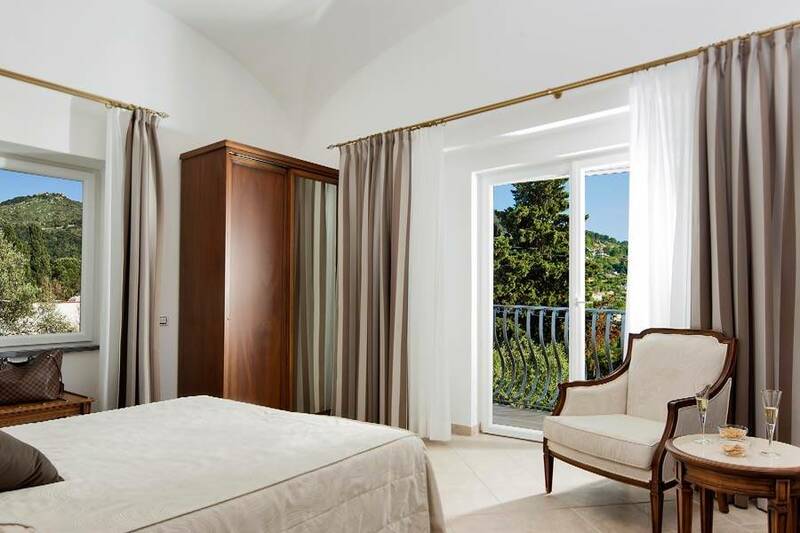 A number of rooms enjoy fabulous views of the sea surrounding Capri. 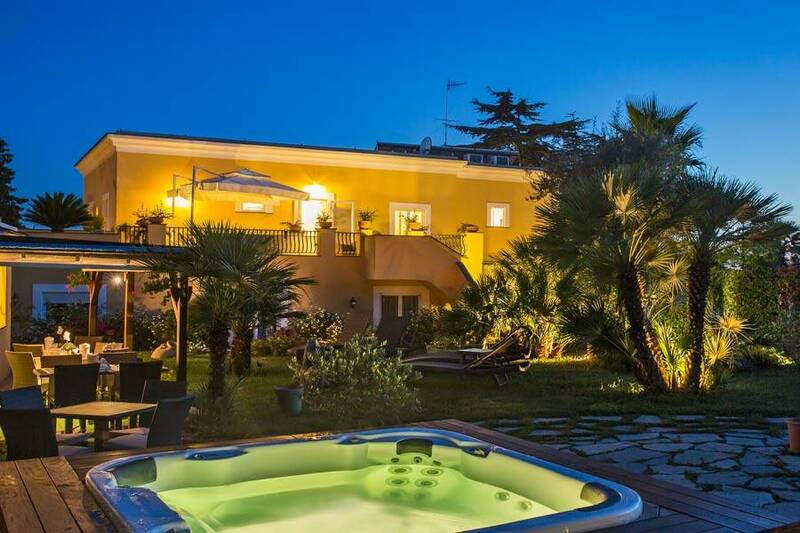 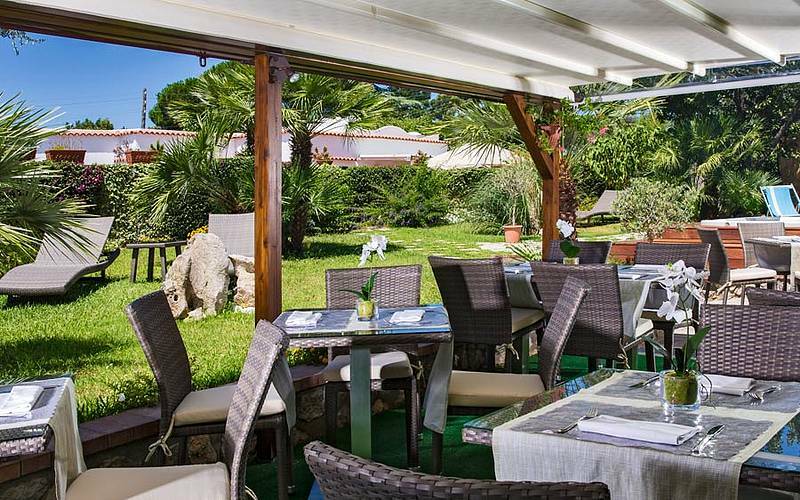 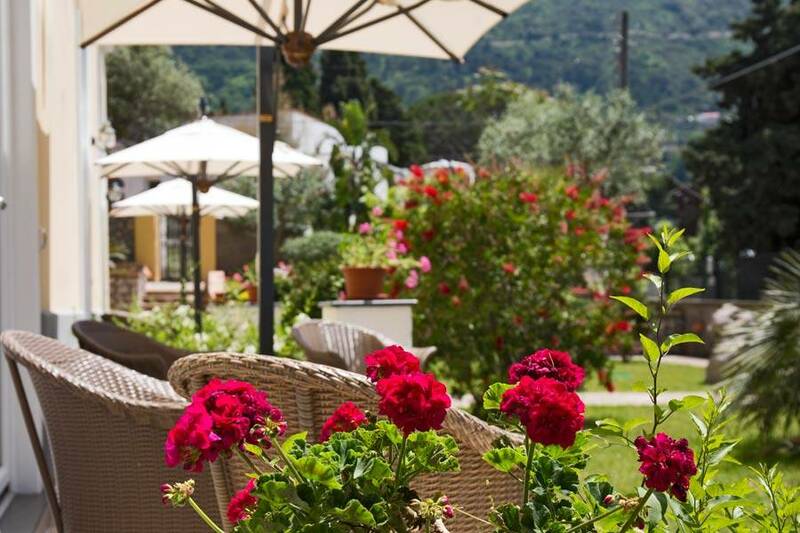 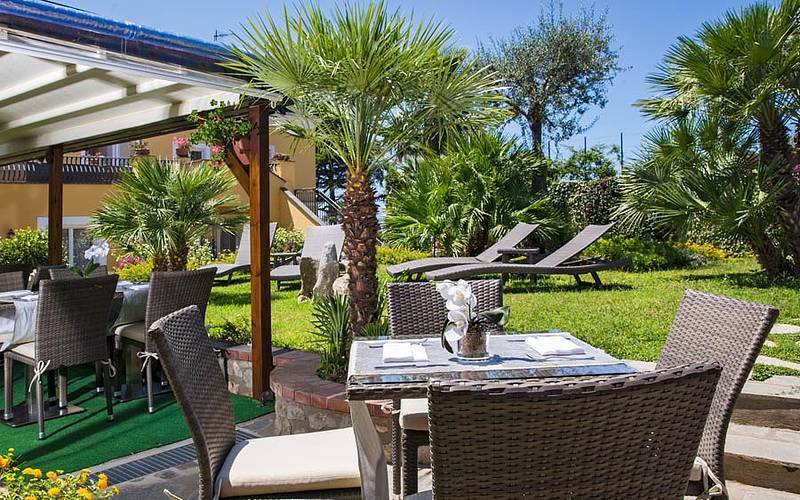 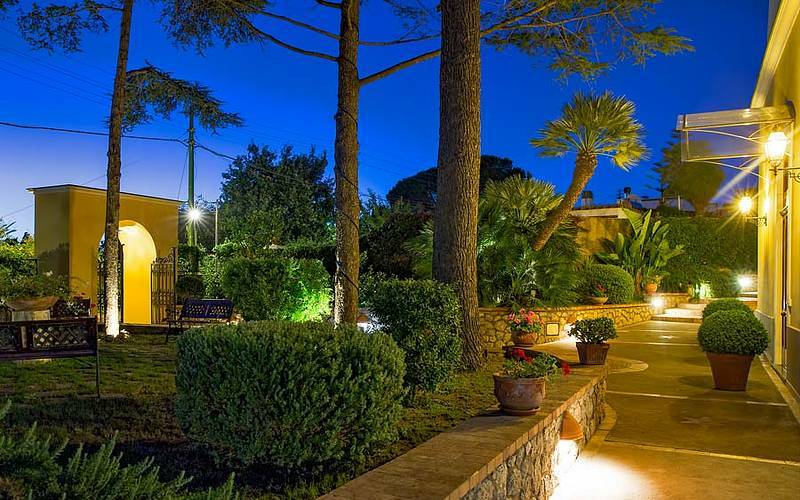 Guests staying at Villa Ceselle enjoy the services available at Da Gelsomina, the highly renowned restaurant and swimming pool which is also run by the owners of the hotel. 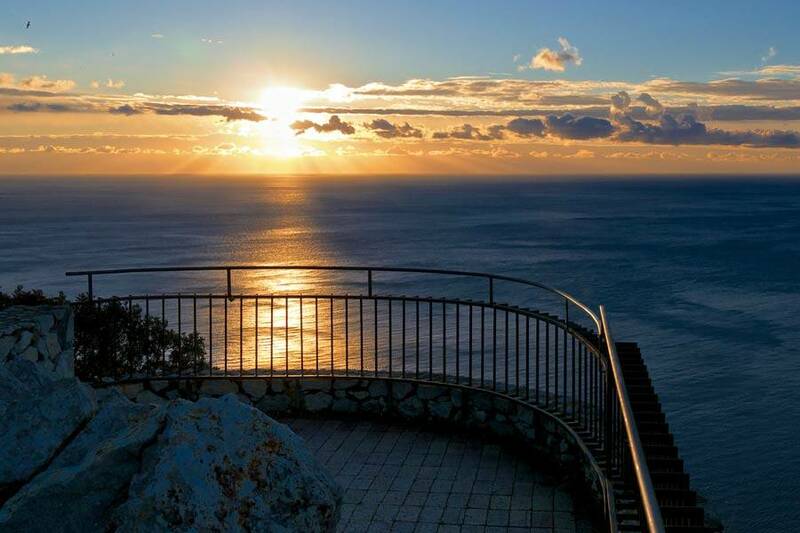 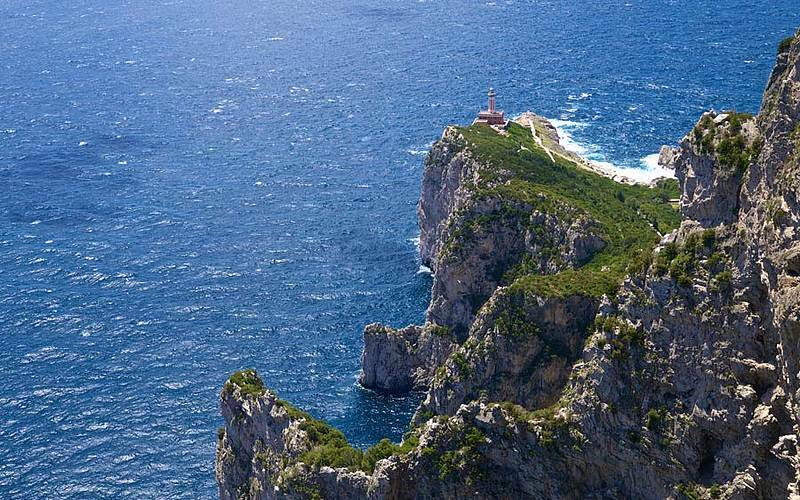 Da Gelsomina is located within steps of the Migliera viewing point, overlooking the lighthouse and the legendary Faraglioni rocks. 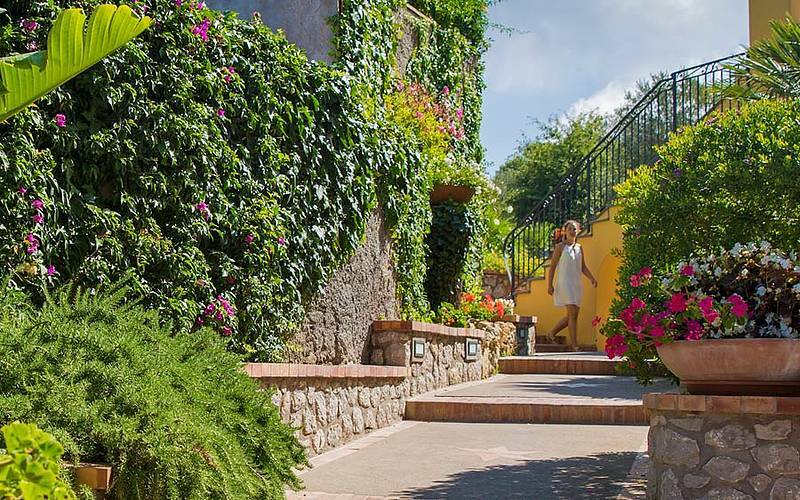 The complex can be reached via a scenic footpath or with the hotel's complimentary shuttle bus. 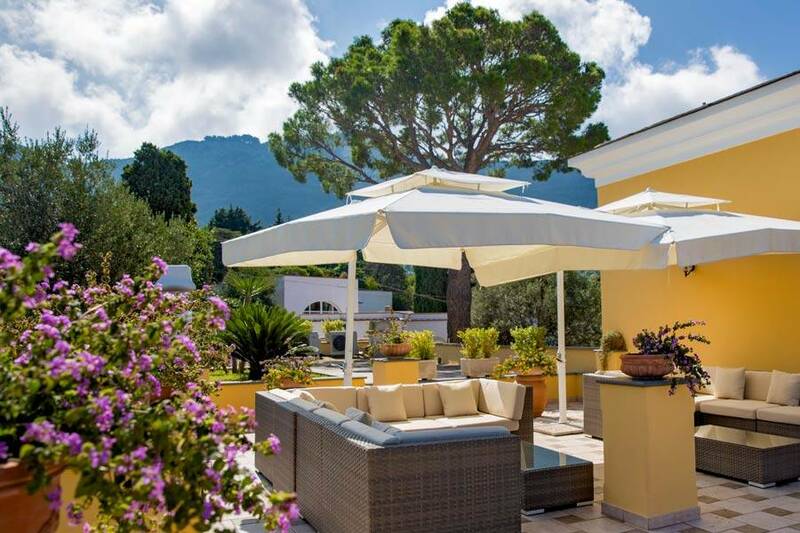 Hotel Villa Ceselle is located in Anacapri, the picturesque little town resting at the foot of the Island of Capri's Monte Solaro. 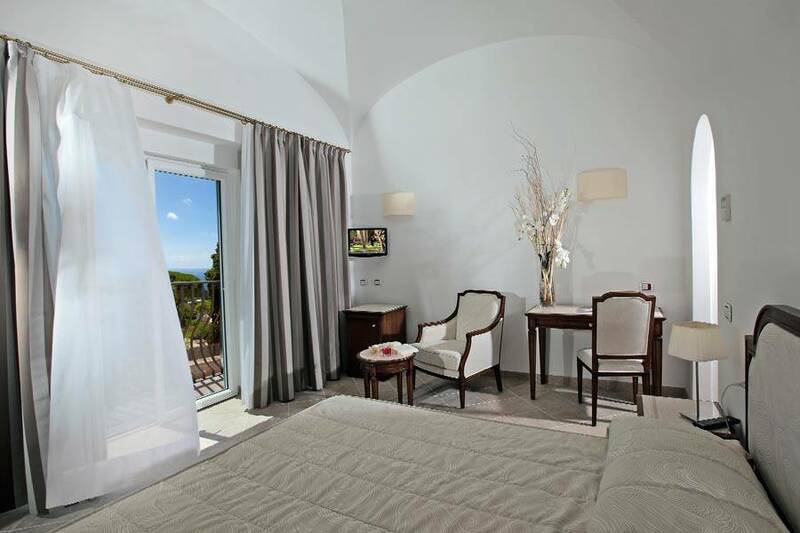 The hotel sits right at the start of the road which, from Anacapri, leads to the legendary Grotta Azzurra. 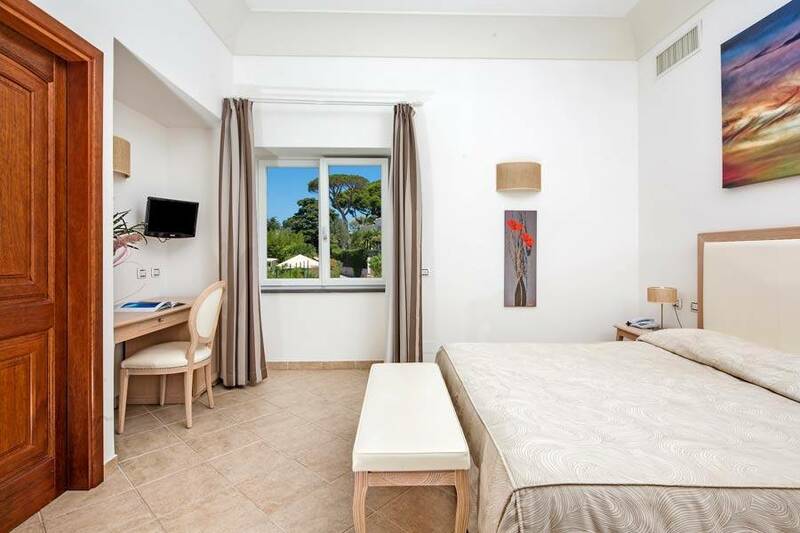 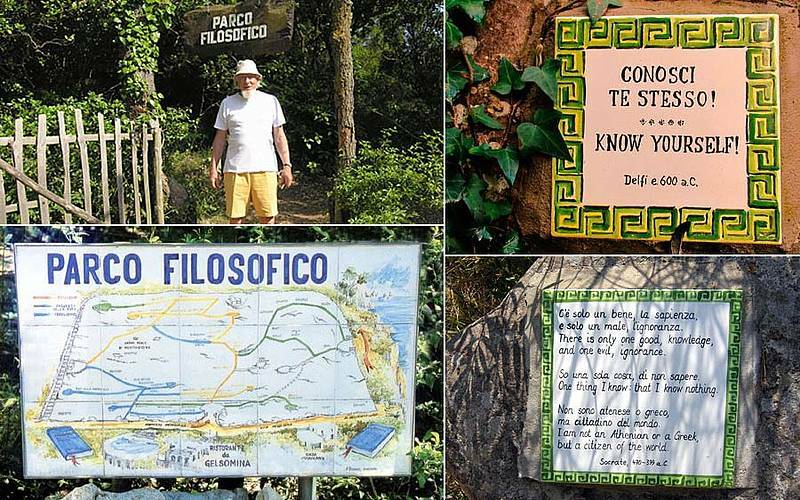 Within meters of the hotel, there is a bus stop from where to catch buses to the lighthouse of Punta Carena, the town of Capri and the port. 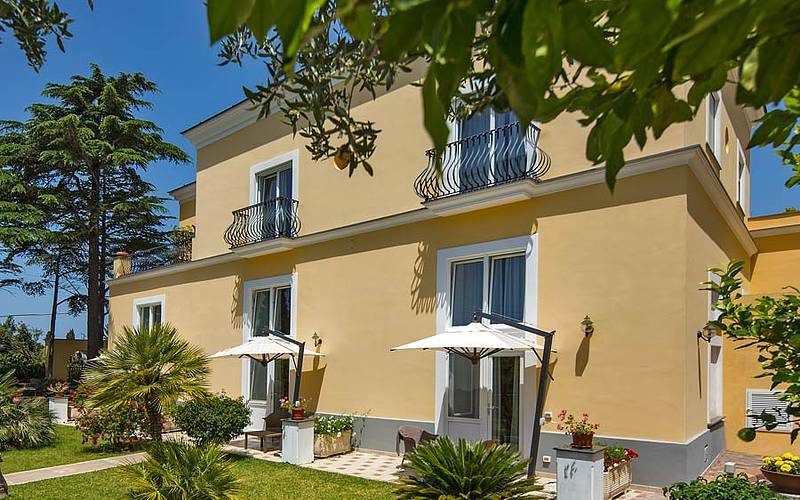 Anacapri's historic center, famous for its Villa San Michele, the Monte Solaro chairlift, the Church of San Michele, and the Casa Rossa Museum, is just a pleasant, five minute walk away. 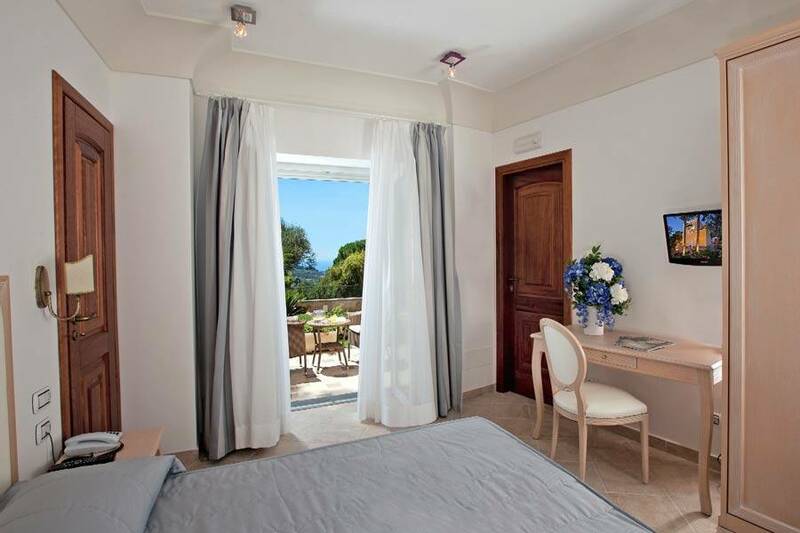 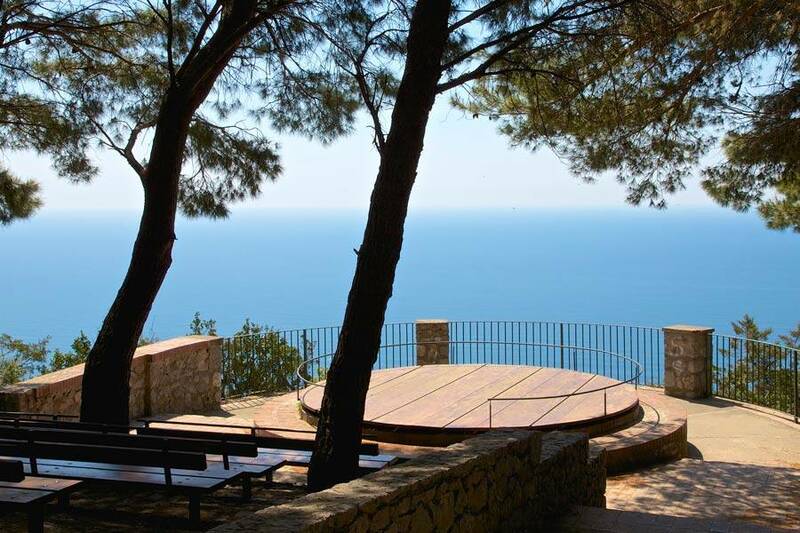 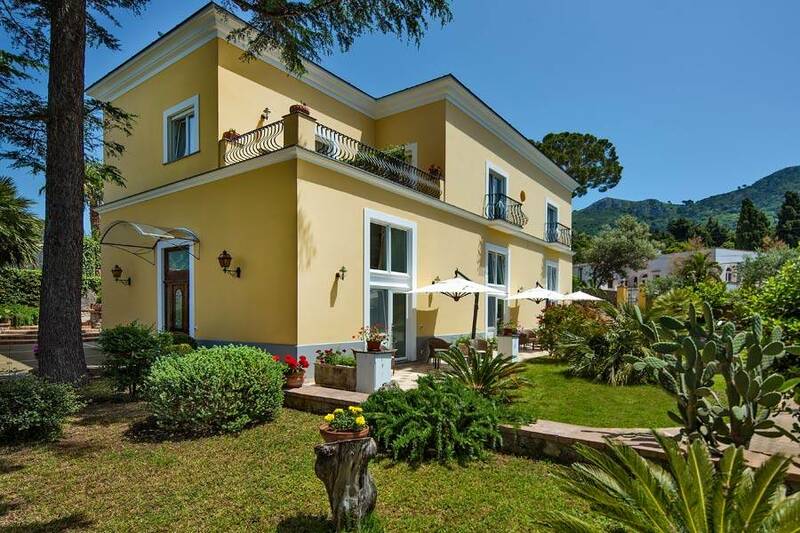 "The location is excellent: really peaceful, but close to the center of Anacapri and the bus stop from where to catch buses to Capri. "